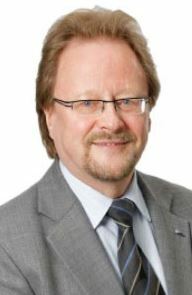 Rauno Rintamaa holds a Doctor of Science and Technology degree graduated in Helsinki University of Tech-nology, Department of Mechanical Engineering. Since 1980 Rintamaa has worked at VTT, the Technical Research Centre of Finland (VTT) in different management positions of the organisation as well as has managed many domestic and international R&D programs. From 2006 to the end of 2013 he worked as a Vice President being responsible for contract research and customer relationships in Energy Sector. The period 2001-2005 he worked as Research Professor and Manager in Material and Structural Integrity related issues with the focus on nuclear energy. From the year 2014 he is working as a Senior Advisor in the area of Smart Energy Systems and Nuclear Technology reporting to CEO of VTT and Executive Vice President, Smart Industry and Energy Systems, of VTT. He has 40 years professional experience, and has published more than 200 scientific and technical publications. In the past he has been a member of various international working groups in EU, OECD/NEA, IAEA. Other important memberships are: Member of the Nuclear Reactor Safety Commission for STUK since 1996, Board Member of FinNuclear Ltd since 2013 and Board Member of the Finnish Energy Council since 2006, member of Studies Committee of World Energy Council since 2011. Rintamaa managed and coordinated the European Network of Excellence on NULIFE – Nuclear Plant Life Prediction, under the EURATOM Framework 6 Programme from 2006 to 2012, and acted as the Chair of the Executive Committee of the Sustainable Nuclear Energy Technology Platform (SNTEP) from 2007 to 2011. He was a member of the SNETP Board from November 2008 to March 2015. In March 2012 he was nominated first time and in March 2014 second time for the Vice President of NUGENIA (Gen II and III R&D) Association (established under Belgian legislation) which is a follow-up of the NULIFE Network of Excellence. Rintamaa acted also as the Vice-President of the ETSON (European Technical Safety Organisation Network) Association from 2009 to 2013. From 2007 to 2011 he acted as the President of the IASMiRT. Currently he is a member of Advisory Board of IASMiRT. In the beginning of 2015 Rintamaa was nominated to a member of the International Advisory Board of Kepco International Nuclear Graduate School (KINGS) in South Korea. In addition, he has been involved in the evaluation of the Energy Research executed at the Energy Centre of the Netherlands (ECN) in 2008 and in the evaluation of the German Nuclear Safety Research by the Helmholtz Association in 2009.